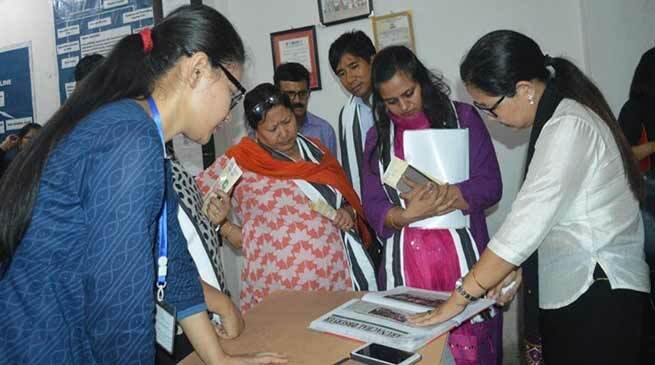 Dr. Kinny Singh, Special Secretary, Women & Child Development, Govt of Arunachal Pradesh, on Wednesday visited Women Help Line-181, One Stop Centre and Swadhar Greh being run by Oju Welfare Association ( OWA ) at Naharlagun. She was along with Smt. T.P. Loyi, Director, WCD, Smt. Yapi Ringu, Deputy Director, WCD and Mr. S.C. Tok, CDPO, Urban ICDS Project Itanagar. Dr. Singh interacted with the women victims of domestic violence, POCSO cases and rescued child labour victims, etc. being sheltered by the Organization. The team also visited the Legal Aid Clinic, Specialized Adoption Agency, Children Home, Oju Craft Centre & Emporium. Dr. Singh praised the commendable activities rendered to the women & children and the rehabilitation services for the victims and offered her support & guidance for carrying on the philanthropic activities for the people of Arunachal Pradesh. She also appreciated Smt. Ratan Anya, Chairperson, OWA for her active and dedicated service and wished her to continue the exemplary work with same spirit and enthusiasm.